Tears started rolling down my cheeks as I checked through the pictures that kept entering my phone via WhatsApp, sent by one of the attendants (Mr. Rasheed Olanrewaju GAJI) of the I-SPELLING BEE & WORDS SEARCH COMPETITION of the organization I founded in 2014 – Initiative for Sound Education, Relationship & Health (ISERH). An American lady sitting beside me in the ferry I boarded from St. George Ferry to Staten Island Ferry, Manhattan looked at me, unknown to her what made tears rolled down my cheeks, and said ‘be a MAN’. I looked at her with eyes filled with tears and said joyfully: ‘Thanks. I am indeed a MAN’. There was no time to let her know that a reminiscence of a MURDERED DREAM that has just been RESURRECTED today Thursday, 9 March 2017, in my absence, by ever vibrant and incomparable Team of my organization brought these tears of joy. In 2013, I and a friend ‘Daud Senge’ designed a project called STUDENTBRITY. 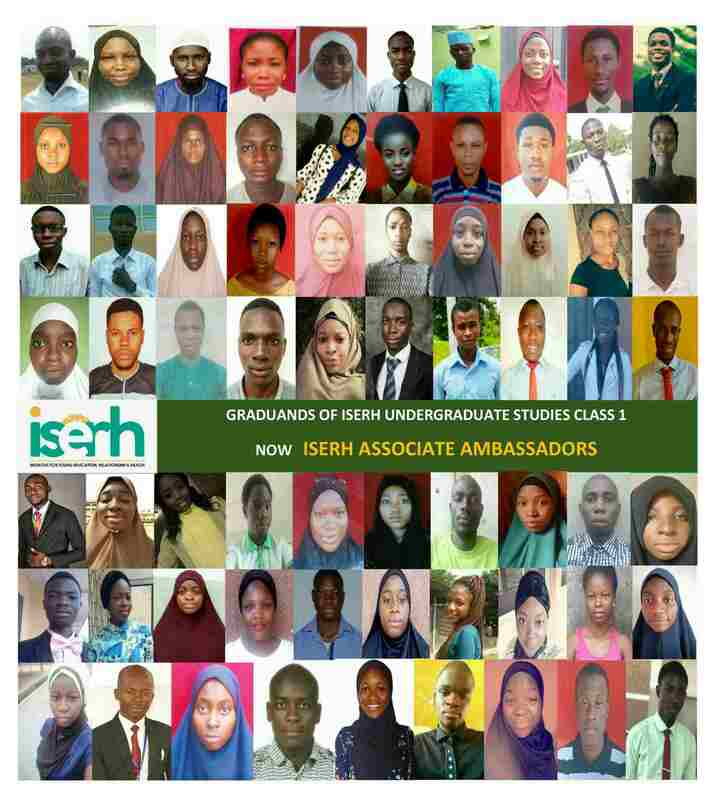 The concept of the project was to shift the interest of vast majority of Nigerian students from becoming a CELEBRITY to becoming a STUDENTBRITY. To become a Studentbrity, you must excel in SPELLING COMPETITION we organized. We went to Gold 95.5 FM (FRSC) to meet the then Director of Program – Mr. Adedamola Tinubu. He introduced us to the Station’s Manager – Mrs. Abimbola Bello and we took our time to explain our project to the duo. 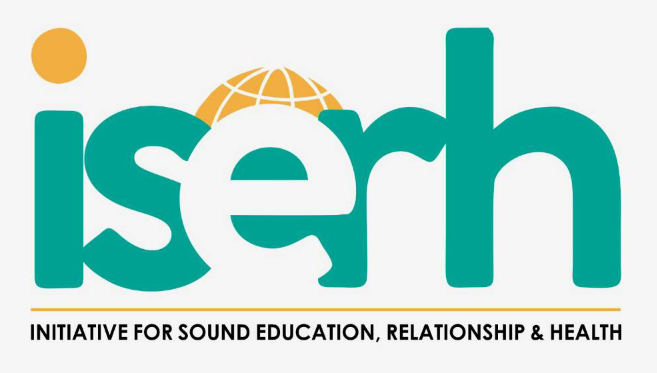 Both quickly bought the project as a great initiative that could boost the academic seriousness of Nigerian Students. They asked if we could start it as a radio program before making it an open competition which we agreed to. The Manager put a call through to the then Corporate Affairs Manager of the International Breweries PLC, Ilesa, Mrs. Folashade Omole to seek the approval of shifting their sponsorship of her program to ours. She appointed Mr. Adewale Abayomi to be the Program Director, after having tasked Adedamola Tinubu to work with us in changing the name of the project to a ‘catchy one’. The IBPLC communicated back to us through Mrs. Bello that they would like the program to promote their Beta Malt brand. Consequently, we were asked to change the name from STUDENTBRITY to what would reflect the brand. It took Mr. Adedamola Tinubu and myself 3 days to come up with BETA MINDS after exploring the options that came to mind: BETA SPELL, SPELL BETA, BETA BRAIN etc. The proposal for the program was typed in the station and submitted by Mrs. Bello to Mrs. Omole for approval. Few weeks later, Mrs. Bello was transferred from Gold 95.5 FM (FRCN), Ilesa to Progress FM (FRCN) Ekiti State. Months later, Mr. Adedamola Tinubu also got transferred to another Radio Nigeria, Ibadan Station. Throughout this period, they were following up on our proposal that was awaiting the approval of Mrs Folashade Omole – the Corporate Affairs Manager of the IBPLC. After several waiting periods, we decided to forge ahead and introduced Aspiring the Best Competition (ABC) on our own through seeking sponsorship from local businesses and individuals. I was on a motorcycle in 2015 when I spotted a bill board at Ita-balogun Junction, Ilesa on which BETA MINDS was boldly written with the pictures of the 2 Winners of the competition who are from Abuja and one Easter State - sponsored by the International Breweries PLC, Ilesa. I almost collapsed as I started sweating profusely. I put a call through to Mr. Adedamola Tinubu, Mrs. Bello and Mr. Adewale Abayomi who were also startled and felt greatly disappointed. I was later advised, after thorough consultations, to forget it and move on with my life. Multinational Companies are good at stealing people’s ideas and projects. Today, I am overflowed with joy as the same murdered dream has now been translated to reality through miraculous resuscitation, even in my absence, of my powerful and vibrant ISERH TEAM. We have vowed since then, never to take our projects to International Breweries PLC, Ilesa or its likes for sponsorship again and this informed our resulting to making use of community efforts to sponsor our projects. With less than N200,000 raised from Local Businesses and Individuals, we have greatly impacted the lives of Osun State Students/Youth. Today, through this project, we have successfully ignited and uplifted the spirits of academic excellence in them. We have successfully brought a sense of healthy competition to them. We have created another subject in their schools’ curriculum, SPELLINGS & WORDS SEARCH, as we plan that this project becomes an annual event. 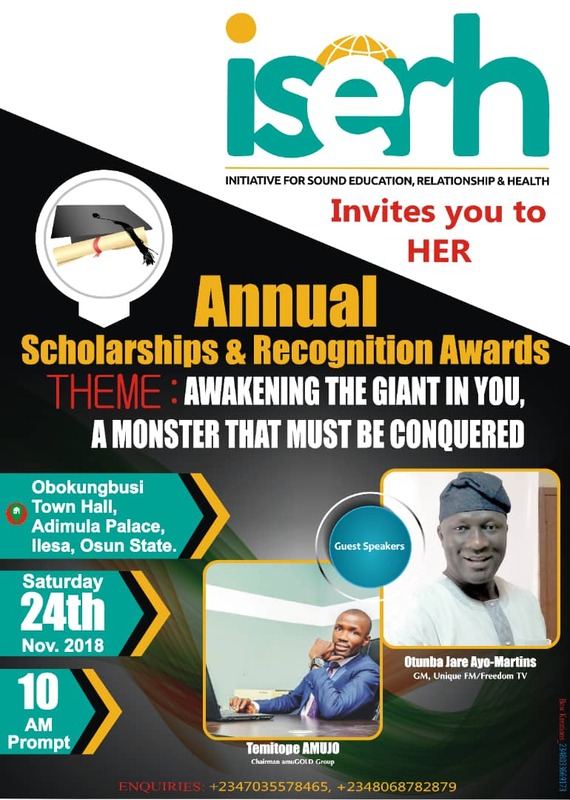 I hereby appreciate all the Local Businesses, Individuals, Schools and the high-spirited ISERH TEAM for this incomparable success will jointly made. I believe that we are all sowing in the society and we shall surely eat the sweetness of the fruits that come out of this. Never ever allow your murdered dream to be rotten - through preservation and reminiscence – it may surely be resurrected. TODAY IS ANOTHER HAPPIEST DAY FOR ME!!!!!! Nigeria shall surely be great again – through our collective efforts!! !